The Divide at Bald Rock is more than simply premier North Carolina mountaintop property: it is the best the heart of the Blue Ridge Smoky Mountains has to offer. Our properties in this prime location are everything you could ever dream of in a rustic, luxury cabin-style home. In collaboration with Westmark Construction Company of North Carolina, our properties become what best suits your needs. The breathtaking views and idyllic mountain lifestyle that comes with a home in the area, though, remains the same throughout The Divide. Nestled amongst the glorious Appalachian mountains and adjacent to the 6,300-acre Panthertown Valley Preserve, The Divide at Bald Rock offers the privacy and landscape needed for a revitalizing getaway. At an elevation of 4,500 feet, cool mountain breezes drift through the area that you could soon call home. Below the lush, dense foliage of the populous red maples and mountain laurels are ridges and valleys full of teeming wildlife. Panthertown, notoriously known for its growing black bear population, offers awe-inspiring natural resources including cascading waterfalls, pristine trout streams, and pure granite cliffs. A unique feature of The Divide is it sits on the Eastern Continental Divide our water feeds the Horsepasture Watershed and the headwaters for the east fork of the local Tuckasegee River. A network of hiking trails, footpaths, and old logging roads weave their way through Panthertown, leading guests to astonishing waterfalls, bogs, and panoramic views. Along with this exciting ecosystem of natural beauty and teeming wildlife, a home at The Divide also comes with a thriving culture of like-minded people. 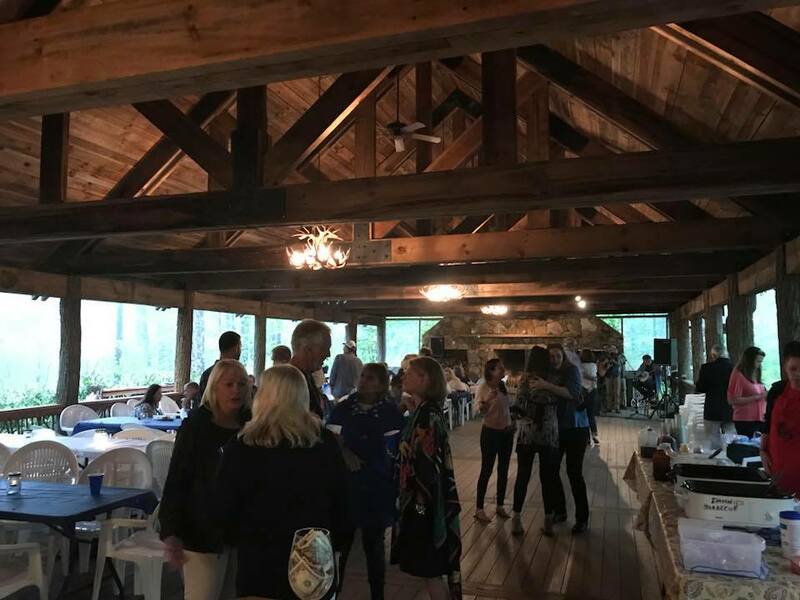 Most recently, current members of The Divide community, local real estate agents, and prospective residents were invited to celebrate the beginning of the most beautiful time of the year in Cashiers with a season kick-off social and barbeque. Attendees enjoyed live bluegrass entertainment from Benny Q & The Wild Hog Band while indulging in a buffet-style dinner from Danny’s Bar-B-Que, a local favorite. Residents mingled and swapped their favorite stories about their experiences in the area while networking and meeting with neighbors new and old. This was just one of many social events planned throughout the season in order to further the growing connected community of residents in the area. When you make yourself at home at The Divide, you are settling into an existing ecosystem; one full of biodiversity, history, culture, and beauty. A home at The Divide is nothing short of a true mountain paradise. Photos courtesy of Amanda Russell.